We define "liquid properties" as the molecular behaviors of a fluid that affect its thickness, flowability and smoothness. Our instruments deal with three of these unique properties, known in the scientific world as surface tension, consistency, and viscosity. Read about how consistency, surface tension and viscosity are different from one another. 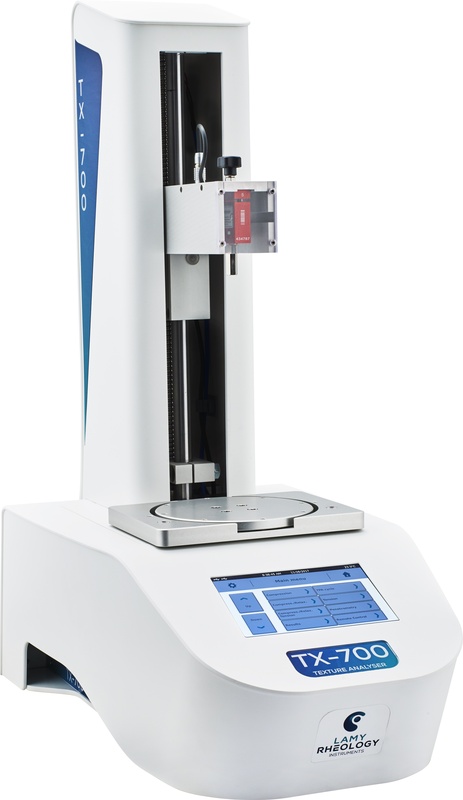 We've also recently added instruments that test contact angle, texture, and liquid density. Surface Tension is water's ability to "stick to itself." It's the property that makes water droplets form, and allows a paper clip to rest on the surface of a bowl of clean water. Measuring surface tension is important in the development and quality control of products such as ink, soap, detergent, pharmaceutical compounds, adhesives, and a wide range of coatings. Consistency is a measurement of how well a product flows. It's used for testing the quality of products such as sauces, salad dressings, condiments, paints, chemicals and cosmetics. Viscosity is a measure of the resistance of a fluid to motion under an applied force. Frequently mistaken for consistency, this complex property is often dependent on the type and amount of force required to make a liquid flow (think stirring or squeezing from a tube). Gathering viscosity data on a material gives manufacturers the ability to predict how the material will behave in the real world. Knowing the viscosity of a material also affects how the production and transportation processes are designed. Texture Analysis is used in applications where a customer's sensory experience of a product can impact their decision to purchase. It provides objective, quantifiable data on characteristics that could otherwise only be measured subjectively - characteristics such as brittleness, tenderness, adhesiveness, firmness, and chewiness. Contact Angle is a measure of the wettability of a solid by a liquid. It helps determine how well a coating will apply to a surface, and can indicate the cleanliness of a surface. 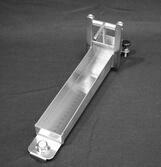 Liquid Density Testing plays an important role in many industrial and production processes. Since petroleum is used mostly by volume, gasoline producers use density testing to help set the price of gasoline. For soft drink manufacturers, density correlates to the amount of sugar in their product. Wine makers use the density meter to calculate alcohol content. 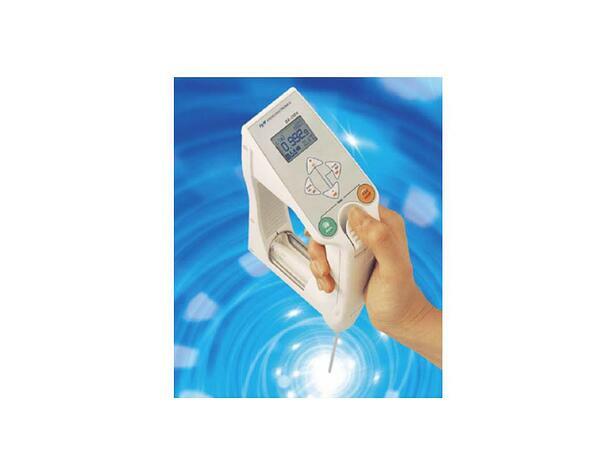 DuNouy Ring Method: Precision and Interfacial DuNuoy Tensiometers. Digital Tensiometer. Automatic Tensiometer. Wilhelmy Plate Method: Digital Tensiometer. Automatic Tensiometer. Rotational Viscometers measure the torque required to turn a spindle in a sample of fluid at a known speed. These commonly-used viscometers are capable of measuring Newtonian and Non-Newtonian Fluids in a wide viscosity range. Texture Analyzers measure characteristics such as hardness, elasticity, crispness, and gumminess in a wide variety of products. The TX-700 is not just for liquids, but it comes from the same manufacturer who makes our viscometers, so that's why we have it listed under Liquid Properties. 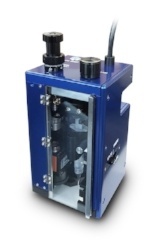 The Bostwick Consistometer is the preferred choice for measuring consistency and flow rate in a variety of products. Introducing a small and portable Contact Angle Meter. Designed to satisfy standards ASTM D724, D5725 and D5946, ISO 15989 and JIS R3257, the meter provides one-touch operation for the measurement of contact angles. Test for wettability, surface energy, and cleanliness evaluation with this high-performance meter, available at a reasonable cost. The Portable Density Meter provides a quick and easy test wherever you need it to work. It can measure density, specific gravity, Brix, and a whole host of other applications.